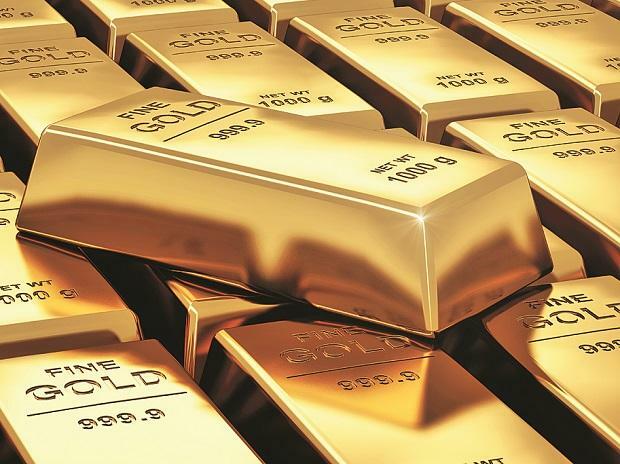 Extending its gains, gold prices on Tuesday rose by Rs 100 to Rs 33,750 per 10 gram at the bullion market here, tracking a firm trend overseas, according to All India Sarafa Association. Silver prices also followed suit and gained Rs 200 to Rs 41,000 per kg on increased offtake by industrial units and coin makers. Traders said gold hovering at $1,300 an ounce in the overseas market aided sentiments and led to the increase in the prices of the yellow metal. Besides, the escalation of Sino-US trade tensions ahead of its trade talks led to safe-haven buying, they added. Globally, gold rose to $1,304.81 an ounce and silver traded higher at $15.79 an ounce in New York. On Monday, gold prices had advanced by Rs 350. However, sovereign gold held steady at Rs 25,700 per piece of eight gram. Silver ready rose by Rs 200 to Rs 41,000 per kg and weekly-based delivery by Rs 83 to Rs 40,073 per kg. On the other side, silver coins continued to be traded at the previous level of Rs 78,000 for buying and Rs 79,000 for selling of 100 pieces.